Kevin Panahi is a California employment and labor lawyer who helps employees recover unpaid wages, overtime, and other statutory penalties from their employers. Mr. Panahi is a tireless advocate for workers’ rights. He obtained his bachelor’s degree from the University of California, Los Angeles, and his law degree from Loyola Law School Los Angeles. Unpaid wages and overtime are a rising problem here in California. More and more frequently individual workers are being exploited by their employers for their labor either because they do not know their rights or because they are often too fearful to make a complaint. Sometimes these employees are vulnerable, either because they are immigrants who are new to this country, or lower income individuals who may be concerned about the prospect of retaliation. More recently the term “wage theft” has been coined to describe such circumstances when an employer wrongfully withholds a worker’s wages. Although congress and the California legislature have passed legislation to protect the rights of workers,employers continue to benefit by short paying or not permitting their employees to take lunch breaks and rest breaks, while others are cheated out of fair pay by being forced to work “off the clock.” Media attention has increased its focus on claims involving these issues, more and more frequently covering large Silicon Valley companies, retailers, along with restaurant chains that have fleeced their own employees to increase their bottom line. Further, most of the laws meant to protect workers represent a complex hurdle to the average person, and navigating their nuances can be a tall task. This is why many aggrieved workers choose to hire a wage and hour attorney to help assert their claims against their unreasonable employers. Employees usually want to know where to start, whether they can recover their unpaid wages, how to calculate penalties if any, and generally how and if they can recover money they are rightfully owed by their employer. If you have been a victim of an employer that has engaged in wage theft give us a call at 408-540-0233 or fill out our case review form for a free consultation. This site contains general information about workers’ rights to overtime and unpaid wages. 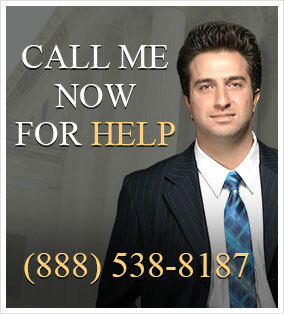 It is meant to be informative and not intended to provide legal advice or create an attorney-client relationship.